St Mary’s School is a small, co-educational facility with composite classes from Kindy to Year Six. The Presentation Sisters established the school in 1868. The school has a strong relationship with the St Mary’s Parish, working together to enact and embed the school’s vision of providing an education that endeavours to equip each child with the Christian values and life skills necessary to meet the challenges of a changing world. I encourage you to have a look at all aspects of our school website, welcoming any feedback or suggestions. 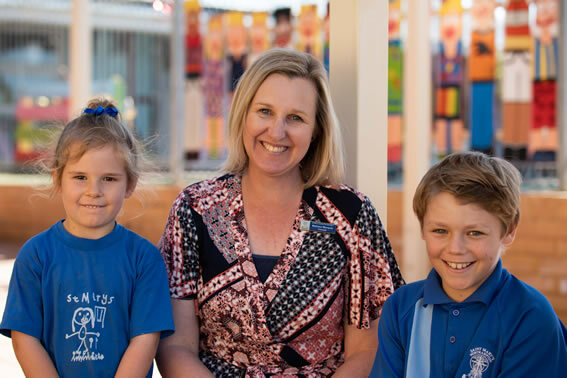 I look forward to working with all members of the school community as we strive to provide the students of St Mary’s School with every opportunity to achieve a personal best.